When was the last time you had your commercial roof inspected? Being as out of sight as roofs are, they are commonly out of mind, and this can be even more the case for commercial buildings. If you’re a building manager and don’t have a regular commercial roofing company to come inspect the health of the building’s roof, then you could be facing costly repairs, especially if it’s been longer than a year since it has been inspected. 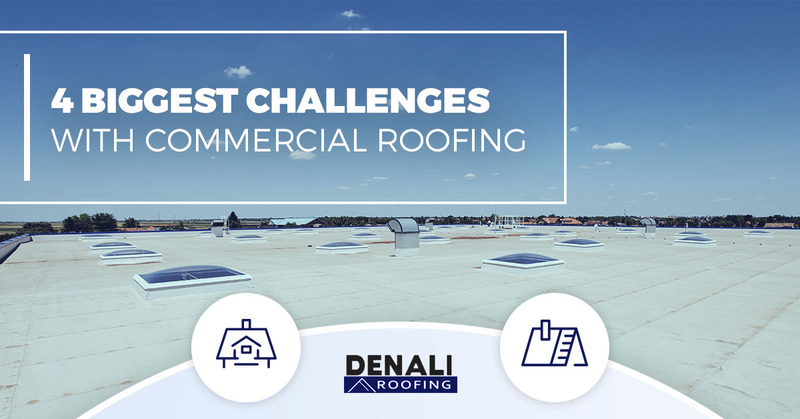 Here are some of the biggest problems that commercial roofing systems have. If you’re in need of professional roofing contractors who know the ins and outs of commercial roofs, contact the team at Denali Roofing in Northern Colorado. We provide superior service to Fort Collins, Loveland, Estes Park, Longmont, Boulder, and the surrounding areas. Unfortunately, in many cases, how the roof was installed actually causes problems down the road, such as leaking, aging of the roofing system, and other issues. Any roofing contractor should provide clear details about any changes or modifications that were made. When you work with Denali Roofing, you can be confident that your roof will be installed correctly and every aspect of the system will be inspected before we leave the building. Northern Colorado doesn’t see a lot of moisture compared with other climates, but the winter season can make up for that pretty quickly. Rain, hail, snow, and ice can seep into the structure of the roof causing significant problems when not detected early on. When a leak is present, water will reach the inside the roof and can lead to mold growth. The best way to detect a leak before an issue arises is with a preventative maintenance program where a roofing professional will come out regularly to inspect the roof and it’s components. Standing water becomes an issue that needs to be addressed as soon as possible when it has been sitting for longer than 48 hours, but be sure to not ignore the pool, it can still cause damage in less time. And it’s actually not so much that the water itself can leak into the roof, but the weight of the water can cause structural damage. A one-inch deep pool weighs just over five pounds per square foot. Under the right circumstances, the pond could cause the roof to collapse. To prevent this from happening, it’s important to set up proper drainage, consider using tapered roof insulation, and to inspect the flashings. 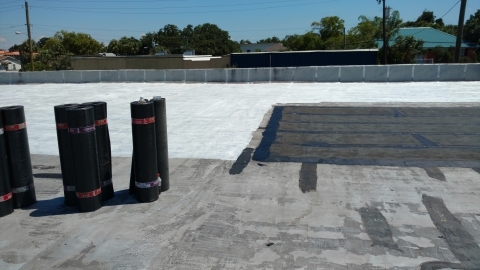 A common commercial roofing material is EPDM (Ethylene Propylene Diene Terpolymer), which is a rubber roofing membrane. This material is installed in one single piece, which over time can begin to shrink. During an inspection, the contractor will look for flashings that are pulling away from the wall and for cracking in the membrane around the perimeter. To prevent serious damage, it’s recommended that commercial roofs are inspected twice a year. To ensure that your building’s roof is properly cared for and to prevent future costly problems, work with the team at Denali Roofing in Northern Colorado. We have years of experience and a team of dedicated and honest contractors who will get the job done right.